The devices can project images at a resolution of 4K UHD with their all-glass lenses and wide lens shift ranges. 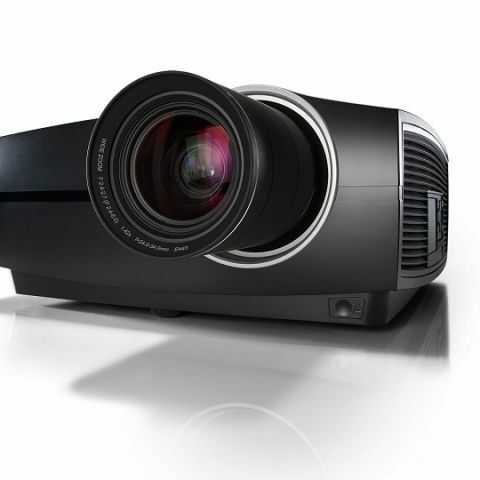 Barco announces the launch of their F80 series of projectors in India. They claim of achieving sharp images while maintaining less latency, thanks to Single Step Processing (SSP). They also feature all-glass lenses and wide lens shift ranges for increased flexibility. Digital technologies have disrupted the definition of customer experience - and today businesses are investing heavily to ensure that they can provide exceptional experiences to their customers. Barco, a leader in visualization and collaboration technology, as its commitment to enhance visual experiences, today announced the launch of its top-of-the-line professional series projectors - the F80 series, in India. It delivers a formidable image quality, unmatched performance, high reliability and efficiency. The F80 Series Projectors deliver stunning image upto 4K UHD resolution with a high level of detail, and highly saturated colors that allow for accurate color reproduction at all times. What's more it features the powerful Barco Pulse processing that allows for sharper images and less latency thanks to its Single Step Processing (SSP). With F80 series projectors one can increase uptime while driving costs down. Through its laser-phosphor light source and advanced cooling design, it provides a long operating time without need for lamp changes - resulting in considerable cost-savings on maintenance and consumables.